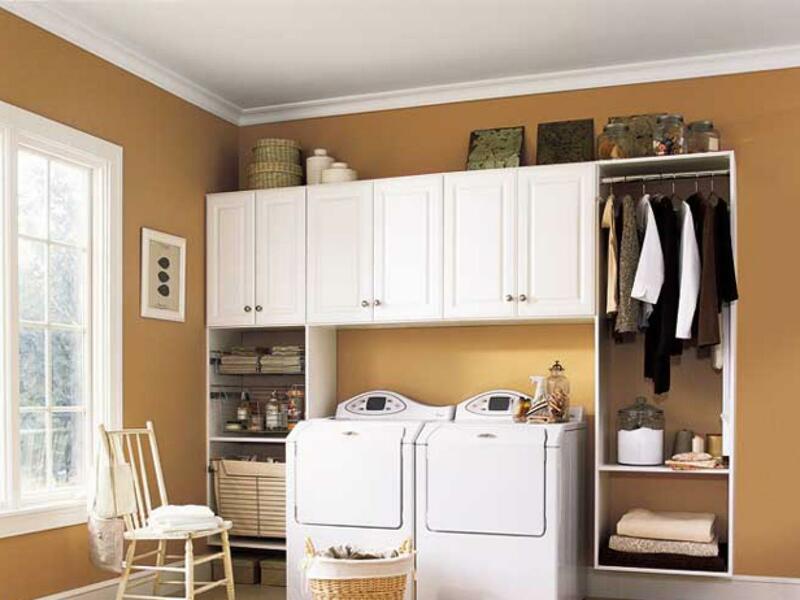 Laundry rooms can be as tiny as a closet or as large as a garage. But no matter if they are L-shaped, U-shaped or galleys, efficiency and organization are key. 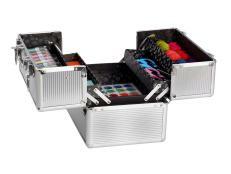 This modular solution is designed to put all supplies at arm's length. In a crisp, clean white finish, the system includes adjustable shelves and a wardrobe valet that effectively uses wall space atop and around the appliances. Photo courtesy of ORG. The cause: A precipitating life event that causes disruption and disorganization in your life. Sometimes our circumstances just get the best of us. At work and at home we encounter situations that invite disorder. Things might be going along fine and then all of a sudden we are inundated by some event or project. When something happens that we did not anticipate or did not prepare for, we can find ourselves the victim of our circumstances. These folks are what I call situationally disorganized. Situational disorganization happens when a precipitating event causes life disruption. It could be as simple as getting backlogged at work or home due to a big, time-consuming project. Personal loss like the death of someone close to you can cause major disorganization in your home life. Even managing the affairs of an elderly, ailing relative can derail your own personal state of order. The grief and loss of a divorce or medical emergency can also inundate people with disorder. Situational disorganization may be caused by a variety of sources, but it can be temporary in nature. Knowing that a precipitating event caused your disorder hopefully takes the pressure off you. Many people look around at their clutter and feel ashamed. They wonder why they can’t get it together. When I find out that someone has been through a divorce and a death in the same year, I want to help them see that the disorder that surrounds them is not their fault. All of us can become inundated by the unexpected. When you recognize the variety of reasons that have contributed to your disorganization, you let yourself off the hook. The cause: Bad habits that have developed over time. Some of the clients I've worked with have needed help re-directing their behavior. Some are stashers. Some are stackers. Others are pilers, spreaders, suffers and hiders. You name it, I've seen it. 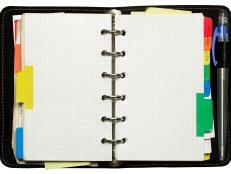 There are a million bad organizing habits, and we've all indulged them from time to time. Instead of unloading the dishwasher, we leave our dishes in the sink, hoping someone else will unload. Rather than facing the paper pile-up, we shut our office door so we can’t see the mess. We knowingly overbook our schedule because we can't say no. We are the habitually disorganized. Habitual disorganization does not mean that we are forever cursed and stuck with chaos in our life. 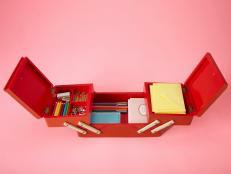 Rather, it means that we have created our own state of disorganization with our collection of bad habits. We can also remain in our chaos, using our bad habits as a reason for why we can't get out. Whether we are dealing with space, time, paper, information, or tasks, we all have our own set of patterns that may sabotage our order. From procrastination to over-scheduling our life, we are our own worst enemy. By our own hand, we become victims of disorganization. To change, begin by identifying any bad habits that you've developed that are contributing to your disorganization. Acknowledging those habits is the first step to restoring order. If you don't identify your bad habits in the process of organizing, your efforts won’t make a lasting impact. For example, you could go through a lot of work to establish a great filing system but if you are in the habit of neglecting maintenance, your filing system will rapidly deteriorate. Once you name those bad habits you can become more conscious of them. As you engage in your organizing process, you can then proactively work to eliminate those bad habits. Only when you extricate yourself from self-defeating habits will you truly be liberated from disorder. The cause: When your upbringing (either orderly or disorderly) impacts your state of order. You can either model or rebel against the environment in which you were raised. In some cases, we rebel against the disorganization we grew up with, and we resolve to train ourselves for orderly living. Due to our disorganized past, we want to have an organized future. Growing up feeling out-of-control is not a good feeling, so we determine to control our environment in our adult world. Our history with disorganization offers plenty of proof that the costs of disorder are significant. As we reject the disorder of our past, a re-training process is required. If we grew up with disorder, we will have to learn how to create order. Re-training can help us gain skills we didn’t learn in childhood, thereby correcting the past. On the other hand, some of us don’t want to learn organizing skills and we rebel against order. We succumb to our disorganized past. 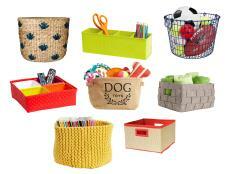 Since we were not taught to organize our belongings or time, and we never learned the skills to tackle clutter. Since we didn’t acquire organizing skills in our youth, we enter our adult lives ill-equipped to manage the onslaught of paper and tasks that comes with employment. We can’t believe someone else is horning in on our work, micro-managing us, and telling us to clean up after ourselves. We want to live in the way we’ve always known; it might not be organized, but it is familiar. Some of us grew up in impeccable homes where perfectionism reigned supreme. As we enter adulthood, we may rebel against the order we experienced because it was imposed to restrain us instead of to release us. Along with the order came rules, regulations, and restrictions. Your current definitions of order are likely along the lines of control, authority, and restraint. By altering your definitions of order you can change your opinion of it. If you began to define order to include freedom, peace, and sanity, wouldn’t organizing be less threatening and more inviting? By changing your definition of order, you can escape your past and begin to experience true peace. Finally, some of us grew up in a showcase of order and we embraced it. We loved the orderly lifestyle then and we love it now. We can't understand why others would knowingly and willingly live in chaos. 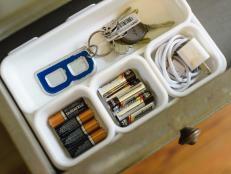 We bring our organizing skills into our own adult world and adapt them to our unique needs. We recognize that organizing is not a series of regimented activities, but a method of discovery that allows us to correct the things that are not working in our environment and time. We know that organizing isn’t a strict set of rules; it is a means of liberation. Whatever your experience with order has been, you likely have responded to that experience in your adult life. You may have embraced or rejected order based upon your history with it. Becoming cognizant of your past experience with order will help you discover where your feelings about organizing have developed. Your feelings about organizing have likely played a role in how you cope with the disorder that imposes itself upon all of us. The cause: When you are influenced by your social world to create and exist with disorder as a way of life. Our culture encourages accumulation. We are told through advertising and social norms to collect enough belongings to fill up our garage or to gather more toys than the next guy. Some of us wear our stuff like a badge of honor. We think that if we have more stuff than others that means that we are better or smarter or richer. We want to have name brand stuff so that we can tell the world about our financial status. We get more and more stuff, yet we are more and more unhappy and stressed. We are the socially disorganized. The dichotomy is that once we stockpile all this stuff we don't know what to do with it and it begins to enslave us. Whatever we collect we must save, dust, store, protect, inventory and insure. In my experience as a professional organizer, I've observed that the more stuff people have, the more complicated their lives become. Having stuff isn't wrong in itself. The problem is when you have so much stuff that you lose and abuse it. When we stop managing, using and appreciating what we own then we become victims of a society that accumulates for the sake of accumulation. Social norms also encourage us to over-program our lives. We become disorganized when we give into the attitude in society that says, "I have to have it all." This attitude can lead us down a slippery slope of over-commitment. One of the reasons we collect too many belongings and activities is because we have a hard time saying "no." If you have been a victim of social pressures, your choices may have resulted in an overloaded schedule and disorderly living. You can now make a conscious choice to reject the social pressures that surround you and extract yourself from an out-of-control schedule. If you can say "no" and stop accumulating you will begin to restore order. The cause: When we live in a chronic, debilitating state of disorder even though we have tried and failed to help ourselves. Chronic disorganization is another way people arrive in chaos. This phrase is not a subjective term. In fact, there is an actual condition called "chronic disorganization" as well as a group of people who study it. If you've ever wondered why none of your efforts to organize yourself have succeeded, you might fall into this category. If you've tried a number of methods to dig out, only to find yourself in the same place you started, this may be your unique brand of disorganization. According to the National Study Group on Chronic Disorganization (www.nsgcd.org), the definition of chronic disorganization is "having a past history of disorganization in which self-help efforts to change have failed, an undermining of current quality of life due to disorganization and the expectation of future disorganization." In short, if you've been disorganized in the past, have tried to change on your own and forecast similar unsuccessful results in your future, you may suffer from chronic disorganization. 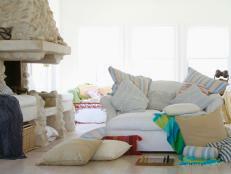 The chronically disorganized likely have a home or work space (or both) that is piled high with clutter. Often, they feel helpless to overcome their disorganization. Indeed, chronically disorganized people require more specialized service than those who came by their disorganization by way of situation, habits, family history or social influence. It is unlikely that a chronically disorganized person can independently pull themselves out of their circumstances alone. Anyone who thinks she may suffer from chronic disorganization can visit the website of the National Study Group on Chronic Disorganization (www.nsgcd.org). On this website, you can find a referral directory in case you decide to enlist the help of an expert or investigate resources for you to conduct further research. Excerpted from Restoring Order: Organizing Strategies to Reclaim Your Life by Vicki Norris. 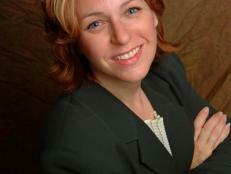 Visit her website at restoringorder.com. 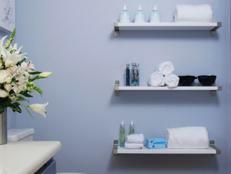 Pro organizer Monica Ricci gives six simple tips for blending two households. We’re not talking about sorting stuffed animals by size, or shoes by color. 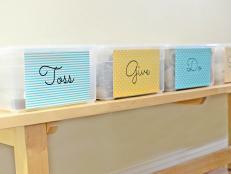 The HGTV Magazine experts are talking about real-life solutions: the boxes, baskets, and pockets you need to store all your stuff! 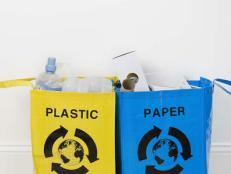 Follow these simple steps to help tackle paper clutter and more.